A full field of 14 will travel nine furlongs on the Keeneland dirt in Saturday’s $1 million Blue Grass Stakes (G2). The Road to the Kentucky Derby series event will yield 100 points to the winner, with the top two-finishers likely to progress onto the Kentucky Derby (G1) on May 4. FREE Blue Grass Stakes PPs courtesy of Brisnet.com! The Blue Grass is an extremely wide open feature, and in a season where the unexpected is what is to be expected, taking a swing with a longshot seems appropriate in the huge field. Tracy Farmer’s Sir Winston (#9) (15-1) is an improving sort who might be ready to peak in his third performance off the layoff. Trained by Mark Casse, who also has interesting contender Dream Maker in the field, Sir Wintson started slowly as a juvenile but improved as the distances increased in his two-year-old season. 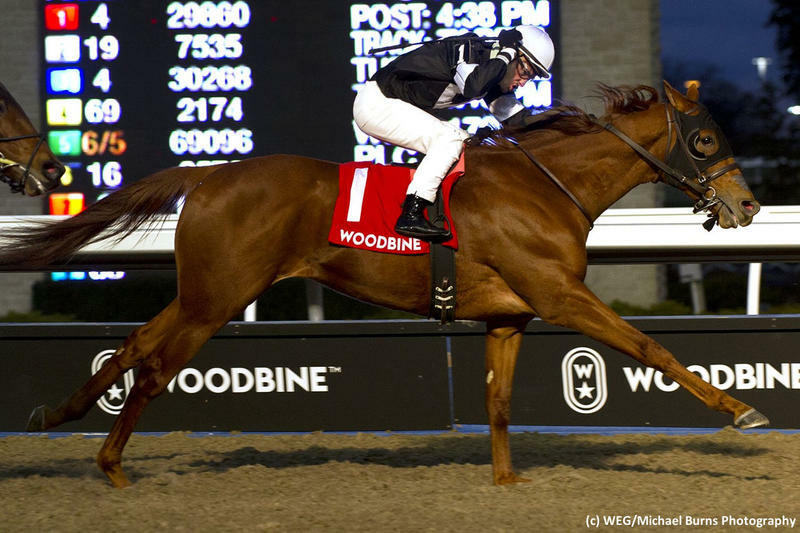 The colt was a winner third time out at Woodbine, and he concluded his 2018 campaign with a solid victory in the Display Stakes on that venue’s all-weather surface. His win in the Display was his first race since being equipped with blinkers and the equipment change has moved the sophomore forward considerably. Sir Winston finished fourth in the Withers Stakes (G3), followed by a late-running fifth in the Tampa Bay Derby (G2), showing a nice turn of foot on both occasions. I think that the Tracy Farmer homebred has used those pair of races as prep events for this, and that the contender will be his very best on Saturday. In a field where the speed in the cast is not convincing, a late runner could be poised to strike late at a big number in the Blue Grass. The Awesome Again colt got in a local morning drill last week to acclimate to his new surroundings and jockey Julien Leparoux stays in the silks atop the Kentucky-bred. I view both as positives and will back him to run them down inside the final furlong on Saturday. Sir Winston is the Best Bet of the Weekend.